Prime Circle. These days, describing records as world-class is commonplace - and, more often than not, it all turns out to be unwarranted hype. But to avoid using the term when talking about Prime Circle’s latest would do the 12-track album a real disservice. The fact is that the five-piece’s Jekyll & Hyde is easily as good as the top modern rock records impacting the Billboard or UK charts right now – and it’s no wonder that the group is looking to the album as the strongest chance Prime Circle has of breaking new territories (a process already started early this year with a series of dates in India). Given the creative work done by Bellville (Cape Town) based Producer Theo Crous, LA based Mix Engineer, Kevin “The Cave Man” Shirley and George Marino, Senior Mastering Engineer at Sterling Sound, New York, it’s tempting to attribute the global polish that defines Jekyll & Hyde to the touch of outside hands. There’s no doubt that Shirley (Led Zeppelin; Aerosmith) and Marino (Guns ‘N Roses, Ozzy Osbourne) add substantially to the album’s overall sound, lifting it into arena-sized moments and adding a subtle, but potent sheen to the material. But the real work comes from the band itself. “Our mantra during the recording process was that good is not good enough,” confides singer Ross Learmonth. This meant that a batch of potential songs on the album were picked over and some even discarded in the search by Learmonth, Dirk Bisschoff, Marco Gomes, Dale Schnettler and Neil Breytenbach to deliver the perfect mix to their fans. Prime Circle’s acclaimed live shows have also impacted Jekyll & Hyde: widely acknowledged as the tightest rock outfit in South Africa, the visceral energy that Prime Circle gives off on stage is evident in songs like “Closure” - as confident an opening number as the band has ever put on an album and a surefire showcase for the clean direction of the material. The latter sees Schnettler’s powerhouse drumming lead the way for Gomes’ bass and Bisschoff’s quite spectacular guitar playing to follow, with all other elements slotting easily in. The band also used a different technique with Jekyll & Hyde, tuning their instruments lower than ever before, resulting in a decidedly more ballsy sound. “The sound has more bottom end on the guitar side of things” says Bisschoff. The band will, however, admit that it wasn’t always easy to reach the superb sound that’s now captured on Jekyll & Hyde. From the initial pre-production early in 2010, to the work done with producer Theo Crous in his Bellville Studio, Prime Circle inhabited an intimate space that encouraged a collaborative songwriting and production process. Prime Circle’s work with Crous on “All or Nothing” in 2008 only added to that. 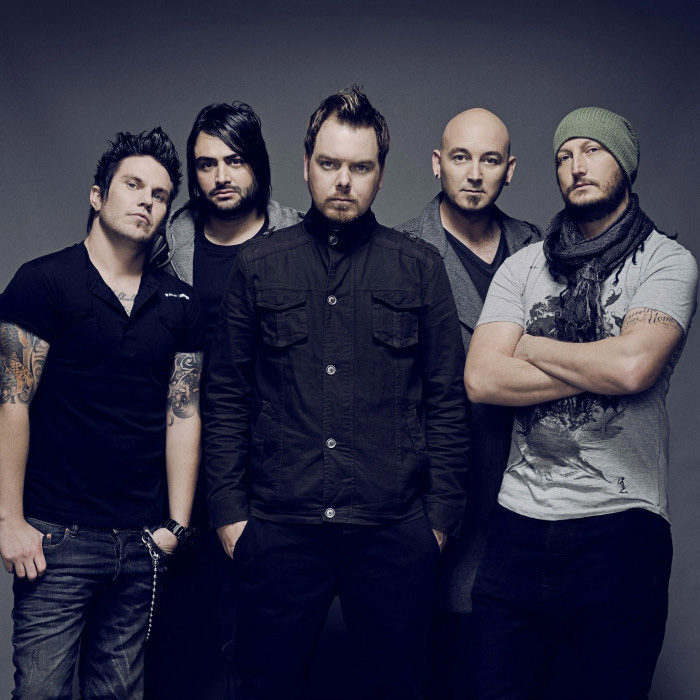 In the end, there’s a deep satisfaction from all members of the band that they’ve delivered a fourth studio album that has an intuitively great mix of ballsy rock (among them the hard-hitting “Broken Promises” and “Never Gonna Bring Us Down”) and melodic rock songs that are the perfect companions to one of Prime Circle’s biggest hits so far: “She Always Gets What She Wants” off 2008’s “All or Nothing”. Among this melody-based material is the first single “Breathing” which debuted at number one on regional radio a mere two weeks after it made its appearance on South Africa radio and was, in fact, the first song written by the group for Jekyll & Hyde’. Don’t expect “Breathing” to be the only radio hit off Jekyll & Hyde: it’s no exaggeration to claim that at least half the album’s tracks will find a home on the airwaves. Tracks like “Everything You Want” (boasting one of the most beautiful keyboard melody lines Prime Circle’s ever written), the terrific “All of Me” and “I’m Ready” are both aiming straight for radio along with “Turn Me to Stone”. Jekyll & Hyde also has some surprises: “Turning In My Sleep” evokes early U2 in its sonic spaciousness and is one of the album’s clear standouts. It also shows off Learmonth’s growth as a vocalist: for a singer who’s always been at home with the rough growl of commercial hard rock, songs like “Turning in My Sleep” reveal a lightness in Learmonth’s delivery, whilst never losing the emotional power that’s been his trademark since 2002. It’s the same with “Worth the Fight”, a lovelorn song that’s sure to resonate with anyone who has ever regretted a fight with a lover, and the album’s closer and title track. “I think what really comes across is that, for all its international polish, the original raw Prime Circle feel and emotion is still very much at the heart of this album,” says Bisschoff. All that’s left now is for Prime Circle to take the new material on the road - the place all five unequivocally admit is their spiritual and natural home.